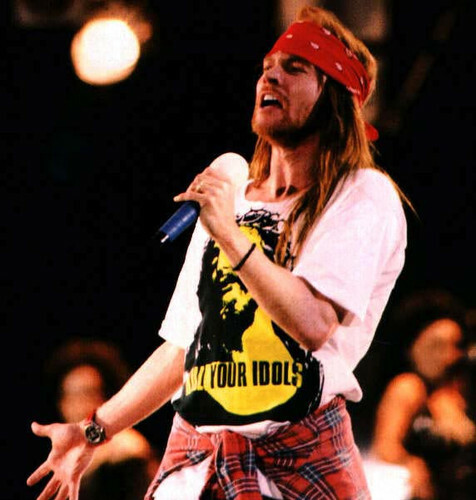 These two shirts that Axl Rose wore during Guns N’ Roses Use Your Illusion Tour era always stood out to me. First, is this Jesus Christ with a crown of thorns shirt that says “Kill Your Idols” at the bottom. “Charlie Don’t Surf” is an infamous line spoken by Colonel Kilgore from the movie Apocalypse Now. Despite protests from the other members of Guns N’ Roses, Rose released a cover version of the Manson song “Look at Your Game, Girl” as a hidden track number 13 on “The Spaghetti Incident” album. 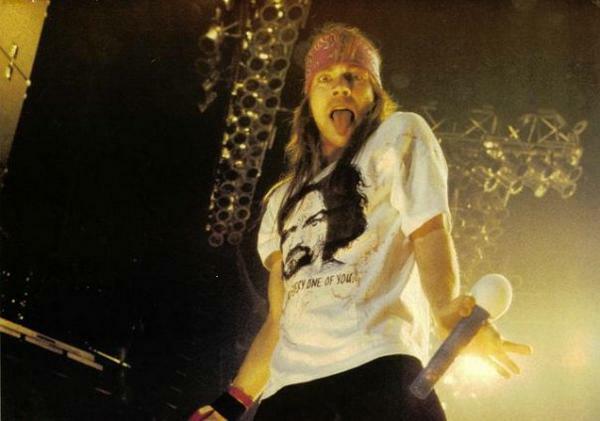 No other member of Guns N’ Roses perform on the track. 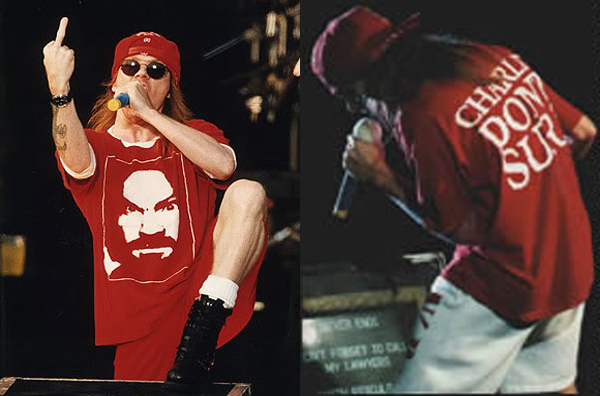 Axl obviously had a thing Charlie, he even had the shirt in black. 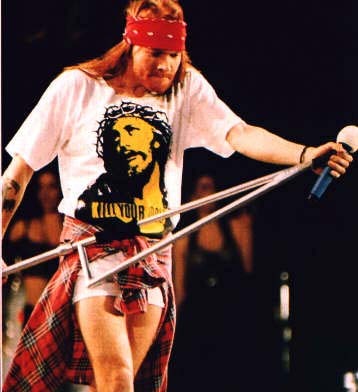 I also found Axl wearing a completely different Manson shirt. Apparently, Charlie receives royalties for shirts sold with his likeness on them. 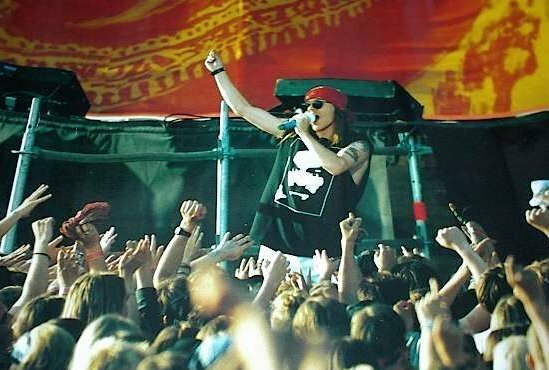 As for the Guns N’ Roses recording, Charlie could have received up to $60,000 for every 1 million album sold but he does not receive royalties because of a 1973 federal court ruling that all Manson income be turned over to the families of his murder victims.